A bill to create a pilot program that would allow 25 New Jersey schools to experiment with a longer school day and/or school year was already being questioned during Monday’s school board meeting at Avon School. After a parent asked for specifics of how much time might be added to the day or year, Superintendent Anthony Arcodia explained that the plan is still in very early stages and there is no guarantee that Barrington would be part of it even if it does move forward. At this point, the plan has not been approved by the full state Senate or General Assembly, having only moved through panels in each governing body. Furthermore, if the proposal to allow up to 25 schools to experiment at no additional cost to local taxpayers does become law, a district can only be selected if a majority of teachers and parents agree to be part of the pilot program. In an informal poll at BarringtonBulletin.com, most have sided against being part of such an experiment as of Oct. 9 (vote below). 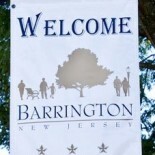 This entry was posted on October 9, 2012 by Barrington Bulletin in Schools and tagged board of education, extended school, extended school day, extended school year, school board.